The Descendants of Thomas Stanger, circa 1610, from Harringworth in Northampsonshire, England. from Harringworth in Northamptonshire, England. Some of the Information on these Stanger Pages is from my original research, helped by Geoffrey Stanger from London. Later most was provided by Ken Stanger in Queensland, Joan Mary [Stanger] Gilmour in Victoria, Australia. More recently a large amount of Information was received from Chloris Mary [Dees] Peck originally from South Africa. In January 2008 more came from Lisa Nap, who lives in the Netherlands and in April 2008 a large File relating to the Stanger Family in Kent was provided by Mark Ward. In October 2010 we have contact with more Stangers, originally from Rhodesia [Zimbabwe]. Now, in July 2011, as a result of more Research by Lisa Nap, we enlarge the Thomas Stanger Family once more, adding a further 50 odd Individuals. Again, following a lot of Research by Joyce [Pickering] Trousdale and Ken Stanger over the Months, July to September, 2012, the Thomas Stanger Family has been expanded by a further 18 Individuals; but further Research by Ken S and Joyce T since September , along with what appears to be a vial Break-through provided by Gerry Stanger, we have a greatly enlarged "Thomas" Stanger Tree, commencing from Thomas' Father [another Humphrey]. We also beleive that as a result of the Information provided by Gerry Stanger that we have linked the Harringworth and Barrowden Stanger Families. NOW, with the apparent linking of the Harringworth and Barrowden Stanger Families, we have increased the Family of Humphrey Stanger, of Harringworth, from 1524 to 3872 Individuals, and now, in October 2013, after Months of Work by Joyce [Pickering] Trousdale and Ken Stanger and Input from 2 new Stanger Folk, Maureen [Duggan] Stanger and Sheila [Watson] Barta, our Stanger Family has increased once more, now, to a Total of 3988 Stangers and related People, and in November 2013, following more of her Ancestry from Maureen [Duggan] Stanger, we have a Total of 4018 Stangers in our DataBase, and in January 2014, following further Research by Ken S, Joyce [Pickering] Trousdale, Ron Boulding and Others, we have increased the Total Stangers once more, and again in March 2014 following more Research by our indomitable Researchers, during which time we have added another 33 Persons to the Tree. 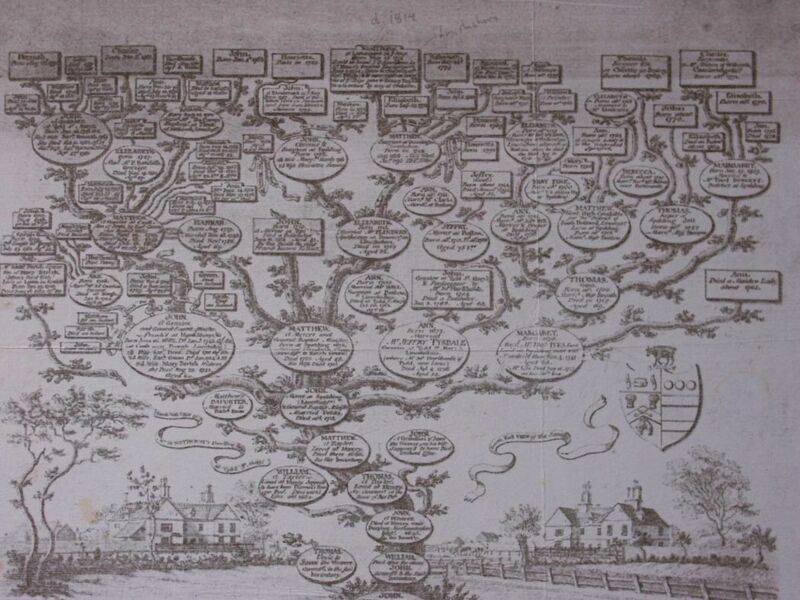 And, in May, 2015, following numerous e-Mails from the Stanger Family Researchers, we have again enhanced the Stanger Tree, adding a further 130 Individuals to the Tree. Now, in April 2017, after considerable Exchange of Information from the various Stanger Researchers, the WebPages are again updated, and we have added another 600 plus Individuals. 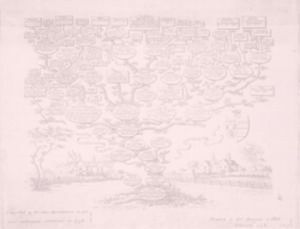 Below is a Photo of an old hand drawn Stanger Tree which was lent by Joan Mary [Stanger] Gilmour.